Beard oil is one of the most essential grooming aids for men because facial hair looks, feels, and grows better when groomed with some oil. 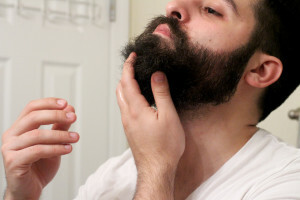 Many men have discovered this fact along with the numerous other benefits of using beard oil, but with all the different brands that are on the market, which one should you buy? Let’s take a look our four picks for Best Beard Oil of 2017 to help you choose a trusted product from some of the top men’s grooming brands. 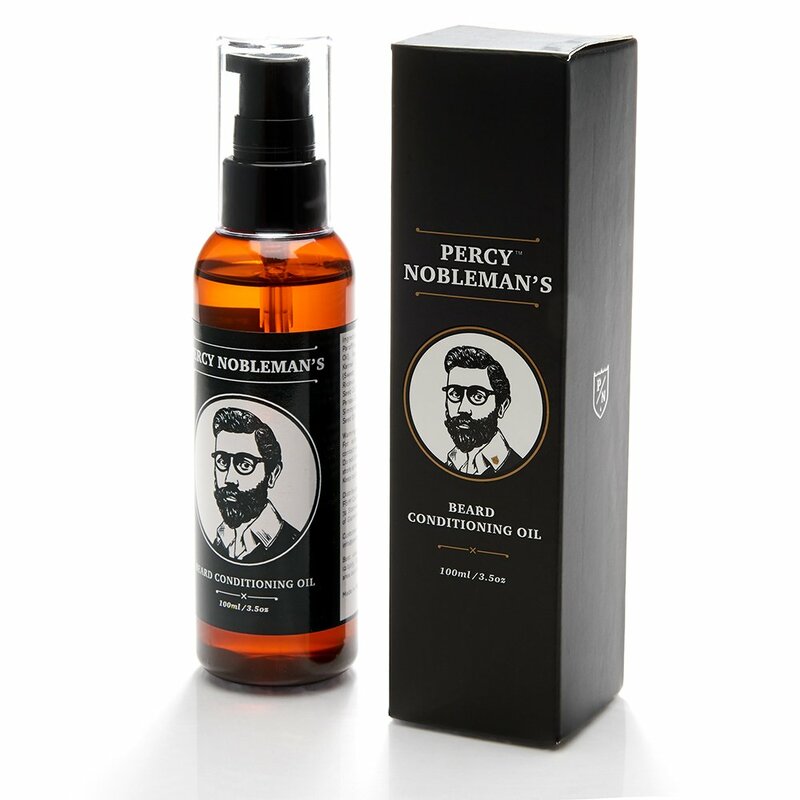 Percy Nobleman’s beard oil can soften and treat dry, coarse, or damaged facial hair. It also takes away the hard work that goes into managing and styling beards. The main ingredients used in this product consist of a blend of base and essential oils that are developed to work as a softener and conditioner. These include Avocado, Castor, Almond, Jojoba, Nigella Sativa, Kernel, and natural mineral oils. The oil comes in a small 100ml bottle. Despite this little amount, the oil can last up to 4 months with consistent usage because all you really need is just a couple of drops per day. Measuring how much to apply is easy since the bottle features an applicator cap that releases one drop after a gentle squeeze. 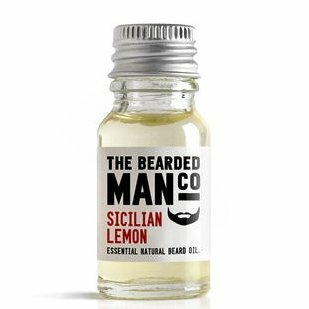 Additionally, the oil is quite affordable, and this makes it ideal for men who need a solution for their dry and itchy beards without having to spend too much money, this is definitely a popular choice for the title of ‘Best Beard Oil‘. A little dab can go a long way, especially if you have oily or normal skin. The oil features a mild wood-like smell that does not go bad with time. This alluring scent can be an advantage or drawback depending on your personal preferences when it comes to beard oils. For the best results, the manufacturer recommends using the beard oil daily. The beard care and moustache care gift set offers almost all the grooming tools any man would want when dodging the razor. This five in one set comes with a little packet of love hearts, which makes it great for gift giving. All liquid grooming products are packed in small bottles that come with a dropper. This takes away the guesswork from measuring how much oil and soap to apply or use. With all these grooming essentials, men can style, moisturize, and treat their facial hair using just one toolkit. Taming those unruly whiskers will be a breeze now thanks to the mustache wax and plastic tortoise shell comb. The wax is made with saponified coconut oil, water, saponified sunflower oil, vegetable glycerin, peel oil, lime, vitamin B5, limestone, citral, and potassium citrate. The same ingredients have been used to make the beard balm and soap as well. The beard oil ingredients include a good balance of lime essential oils, vitamin E, sage, grape seed oil, and cypress. If you prefer keeping a full beard, the mustache comb will help detangle strands of hair in your bushy follicle forest. The wax and oil leave a lovely sandalwood scent after you’re done with your daily grooming. The Bearded Man Company is known for its long lineup of beard oils that offer many options from which to choose from. For example, their Ray Rum flavor comes in two varieties: the Sicilian Lemon and Spanish Orange fragrances. Both beard oils are specially formulated with non-greasy and 100% organic ingredients. They feature essential and natural oils from nuts and wheat, all of which will leave your beard soft and tamed. Men who prefer purchasing grooming products in green/eco-friendly packaging will appreciate this brand as well. The Bearded Man Company packs all their oils in small glass vials that come with a screw top lid. You can easily know when the bottle is empty thanks to the clear packaging, but more importantly, you don’t have to worry about applying beard oil stored in questionable packaging (BPA laden plastic) that is often used in the beauty industry. Each 10ml glass bottle is good for about 40 applications, which can last well over a month of daily use. Since the vials are small, it’s convenient to bring them along when traveling. 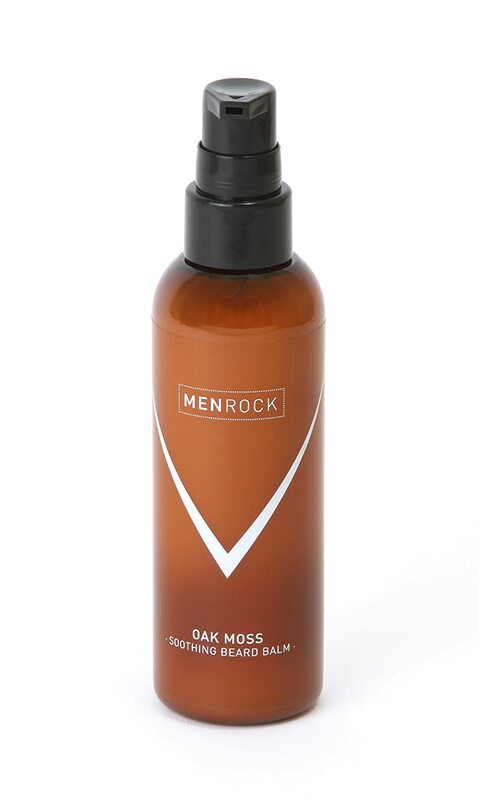 The soothing Men Rock Beard Balm comes with a lovely oak moss fragrance that leaves you with a manly scent. This beard balm is also the first moisturizing conditioner of its kind. You can leave it on for hours and not worry about any difficulties in removing it. The water-based lotion washes off easily since it doesn’t have an oily or waxy consistency that other beard oils leave on your face, and the product is designed to coat beard strands and moisturize your facial skin. This helps to sooth itchiness, especially for men who prefer to settle for a stubble with spiky hairs. Each bottle contains 100ml of beard balm and ingredients include aqua (water), lime, potassium citrate, citral, vitamin B5, vegetable glycerin, limestone, and saponified sunflower and coconut oils. The packaging features an easy to use pump action top that allows you to squeeze out a small squirt of balm in order to prevent overuse. While the beard oils listed above feature just a fraction of what’s available out there, these brands are some of the most highly rated ones and deserve to be on our best beard oil list. All of them have been chosen based on customer reviews, choice of ingredients, effectiveness, and pricing. As such, these grooming products offer a fantastic range of options for men in search of affordable beard oils that don’t compromise on the quality of ingredients.